Kate is a business coach for female entrepreneurs and copywriter for online experts. She helps her clients lock in their brand messaging and communicate with confidence so they can have more engagement and sales online. 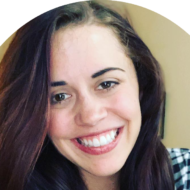 Kate began her marketing career as a copywriter for a digital agency, where she quickly grew to become the youngest department head in agency history leading the content team. Kate then went on to work in marketing strategy for a Fortune 50 brand until she took her coaching and copywriting business full-time. Today, Kate serves as the CEO of Kate Creative, LLC. She is trusted by some of the top online experts in the industry to create copy for their brands. When she’s not crafting copy, you can find her traveling or hanging out at home in Atlanta with her three dogs and cat! Visit http://katelyndramis.com for more information. Marvin Arrington, Jr. Esq., serves Fulton County as Commissioner of District 5, which encompasses, East Atlanta, East Point, South Fulton, and small parts of Union City and College Park. A native of Atlanta, Georgia, Mr. Arrington is a renowned “Super” lawyer with over 20 years of litigation and judicial process. The son of Marvin Arrington, Sr., retired Fulton County Superior Court Justice and former City of Atlanta Council President, and Marilyn Arrington, a retired educator; Mr. Arrington adheres to a strong creed of community service and empowerment. Over the past decade, Mr. Arrington has created opportunities to provide education, entertainment, and empowerment to Georgia communities through his various entrepreneurial enterprises and civic initiatives. Attorney Arrington is a partner at the law practices of Arrington & Phillips, LLP and principal at Arrington Law, where he unites businesses, nonprofits, and individuals to solve problems and get results. At Fulton County, Commissioner Arrington serves as the Executive Sponsor for Fulton County’s Strategic Priority Area, All People’s Lives Are Culturally and Recreationally Enriched. 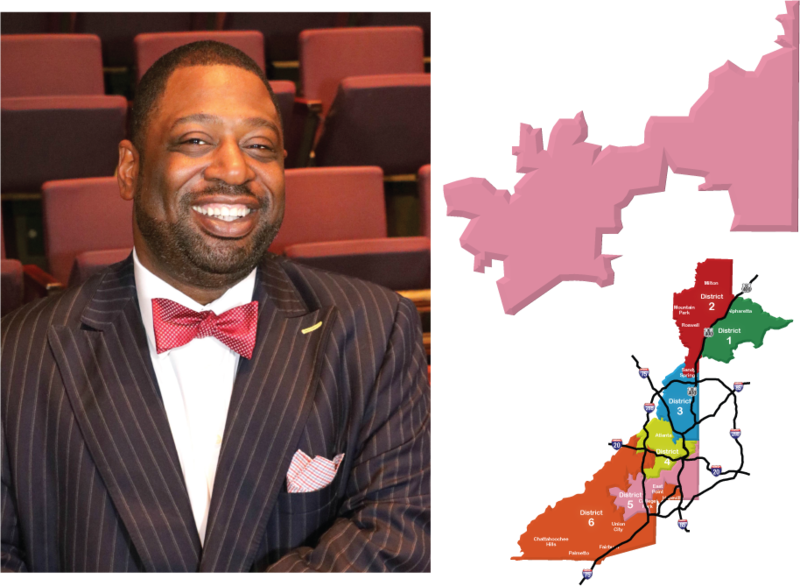 As Executive Sponsor, Commissioner Arrington uses his legal and entertainment background to help craft policies and initiatives to enhance Fulton County’s residents’ quality of life. 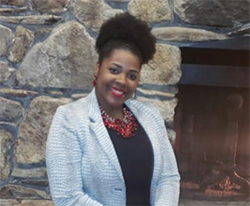 Arrington serves on the Board of Directors for McPherson Implementing Local Redevelopment Authority, Atlanta Fulton Recreation Authority (Vice Chair), National Organization of Black County Officials (NOBCO), and The Sickle Cell Foundation of Georgia. He is also a member of Georgia Association of Black County Officials (GABCO), Association County Commissioners of Georgia (ACCG), and National Association of Counties (NACo), where he serves on the Justice and Public Safety Committee and Arts and Culture Commission. Arrington is also the fourth Fulton County commissioner and first male to become a certified County Commissioner through ACCG and the Carl Vinson Institute. Marvin was raised in southwest Atlanta and is a graduate of Frederick Douglass High School. 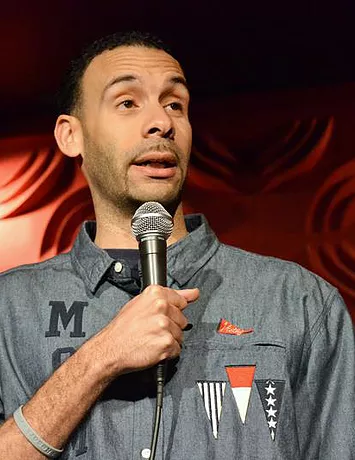 After graduating high school, Marvin matriculated at the University of Virginia (UVA) in Charlottesville, VA where he earned a degree in Economics. He earned a Juris Doctorate at Emory Law School and is a member of the Georgia State Bar. A resident of the City of South Fulton, Marvin is the proud father of four daughters. Visit http://www.fultoncountyga.gov/fcbocd5 for more information. Visit https://www.renardcomedy.com/about for more information. Rick Lofgren was named President of the Children’s Organ Transplant Association (COTA) in August 1998. Since that time he has worked to build the charity into a highly respected national fundraising entity that is focused on saving kids’ lives, while saving their families from financial ruin. During Lofgren’s tenure as President and CEO, COTA has increased patient campaign dollars raised from less than $750,000 to more than $6 million, and has increased the number of annual patient fundraising campaigns from 31 to 225. In addition to providing hands-on fundraising assistance to numerous families and patients awaiting life-saving transplants, COTA has partnered to register thousands of organ donors and held dozens of bone marrow registration drives under Lofgren’s leadership. Since 1986, COTA has assisted thousands of transplant-needy children and young adults, and has raised well over $110 million for transplant-related expenses. Since COTA’s inception, thousands of families have been served and 2,000+ COTA patients have been transplanted. At Bloomington, Indiana-based COTA, Lofgren administers strategic operations and policy formulation for the $35 million health care-related and fundraising charity. His specific duties include the implementation of major and planned giving programs; staff management and development; and Board of Directors’ growth and development. Between 1998 and 2018, COTA’s annual revenues increased from less than $1.5 million to more than $8 million. Lofgren has served on numerous community organizations’ committees and Board of Directors. Lofgren and his wife, Lisa, are avid cyclists and have two adult children, a daughter-in-law, a son-in-law and a grandson. Visit https://cota.org/learn-more/staff-directory/ for more information. In an industry with a high employee turnover rate, specifically for direct support professionals, the Devereux Massachusetts and Rhode Island Paxton STARR<http://www.devereux.org/site/PageServer?pagename=ma_starr> program, which provides short-term placement services for youth in need of immediate behavioral healthcare support – has experienced a less than 1 percent turnover rate since August 2017. A healthy environment for all Mclean also places an emphasis on self-care, encouraging employees to take time to relax and recharge. Learn more about Devereux Advanced Behavioral Health<http://www.devereux.org/>. Mr. C. J. 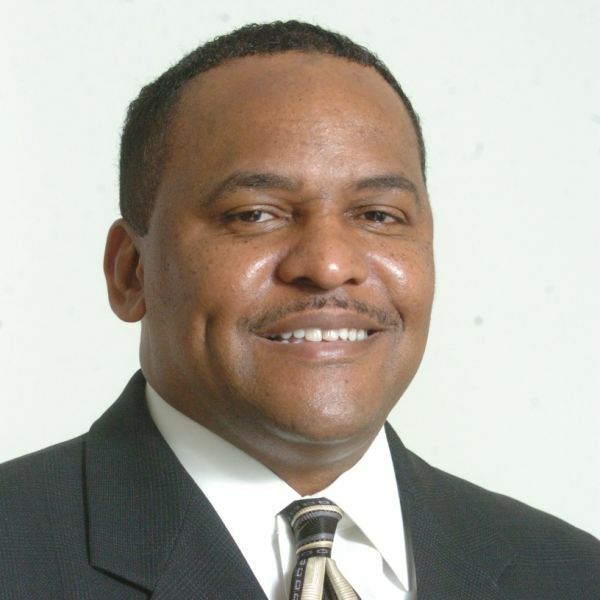 Bland is founder, president & CEO of Minority Professional Network, Inc. The MinorityProfessionalNetwork.com (MPN) portal is a global Career, Economic and Lifestyle™online resource serving millions of progressive business professionals, entrepreneurs and students of various cultural/ethnic backgrounds, and women of all races, based in all U.S. states and over 50 international countries. The MPN global online web portal (www.mpnsite.com) is a highly interactive marketing and communications, and content and information resource medium that features a wide variety of value-focused content, information, offerings and resources. The Minority Professional Network is also a Viable Source of Top Talent™ for Multicultural andDiversity Focused Employers. The company provides a robust portfolio of online, e-Marketing and offline services in support of its clients, advertisers and partners’ recruiting and sourcing, multicultural marketing and branding, supplier diversity, custom event planning and promotions, training and development, community service, communications, business and technology consultation requirements, and related objectives. The company’s client list includes the U.S. Department of State, PricewaterhouseCoopers, CIA, FBI, BellSouth, Xerox, MassMutual, Interface Flooring, A.G. Edwards, MetLife, JWT, TMP, Johnson Controls, Honda Manufacturing and many others – http://www.mpnsite.com/mktg/clients.pdf. Throughout his 20+ year entrepreneurial and corporate career, Bland has held various Business Development, Sales, Consulting, IT, and Engineering leadership or strategic positions with Johnson Controls, AT&T, SBC Telecom, Dual Incorporated (at NASA’s Johnson Space Center), and Newport News Shipbuilding Company. An avid, highly respected, results-oriented and effective coalition builder, Mr. Bland is actively involved and highly dedicated to public service, volunteerism, community service, and professional organization growth and development. 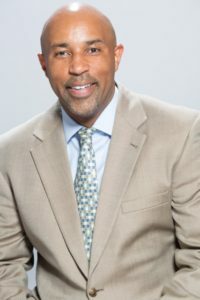 His recent board service includes an appointment to the Atlanta Regional Commission (ARC) board (2003 – present), and 2001-2002 President of the National Black MBA Association (NBMBAA) – Atlanta Chapter. In addition, Mr. Bland is a current or past member of several other organizations, including the Atlanta Business League (ABL), National Society of Hispanic MBAs (NSHMBA), Georgia Hispanic Network (GHnet), National Association of Black Accountants (NABA), National Society of Black Engineers – Alumni Extension (NSBE-AE), and National Sales Network. Mr. Bland is firmly dedicated and committed to helping today’s youth realize their fullest potential. He often takes time to inspire, motivate, instruct, mentor and encourage youth through speaking engagements, as a former undergraduate business school professor at Clark Atlanta University, and in support of programs such as INROADS, NBMBAA Leaders of Tomorrow, and the Atlanta Public Schools Adopt-A-Student-Program. Bland has received numerous awards and commendations, including recognition in the Who’s Who in Black Atlanta – 2006 edition, and selection as the INROADS/Atlanta 2002 Facilitator of the Year, and Atlanta Chapter Black MBA 2002 Entrepreneur of the Year and 2000 Outstanding Service Award. Mr. Bland or MPN have been featured in numerous publications including Who’s Who in Black Atlanta, the Atlanta Journal-Constitution, Rolling Out Magazine, Hispanic PR Monitor, BET.com, BlackEngineer.com, Philadelphia Tribune, El Observador, and several other print, radio, TV, and online media outlets. A native of New Orleans, Louisiana, Mr. Bland also previously resided in Newport News, Virginia; Chicago, Illinois; and Houston, Texas before moving to Dekalb County, Georgia in 1995. His educational achievements include a MBA degree in Management and Information Systems, a B.S. degree in Electrical Engineering, and a B.S. degree in Physics. Visit http://www.minorityprofessionalnetwork.com/cjbio.htm for more information.